The videos above, documentat two live performances of electronic music quartet Toxic Ocean at Grant Recital Hall, Providence RI 2013. 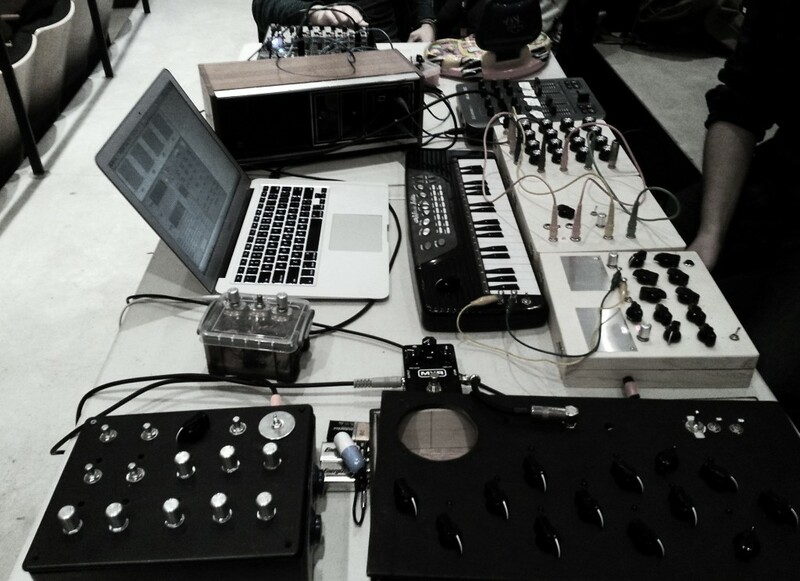 All music created, arranged and performed on custom build and hacked electronic instruments and systems. Toxic Ocean is Jason Rabie, David Putnam, Seth Thorn and myself. 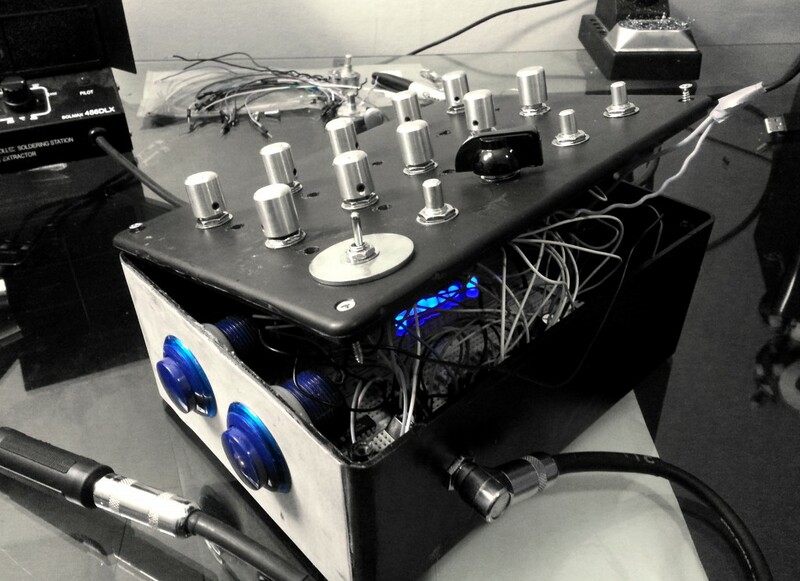 The following pictures and video illustrate different stages of the building and testing of DIY synthesizers I designed and built for the performance (Designs inspired by Nicolas Collins). I made a modified version of the previous circuit with a lower voice and arcade buttons to control the hold/release toggle functions. The increased sensitivity of the controls gives me the possibility of quicker stutter. One of my early prototypes was encased in a Nescafé container. I found that enclosure surprisingly comfortable for use in live performance, allowing a lot of gestural and bodily expression. Photo-resistors on the inside could be manipulated shining a flashlight through the semitransparent plastic enclosure to achieve interesting effects. 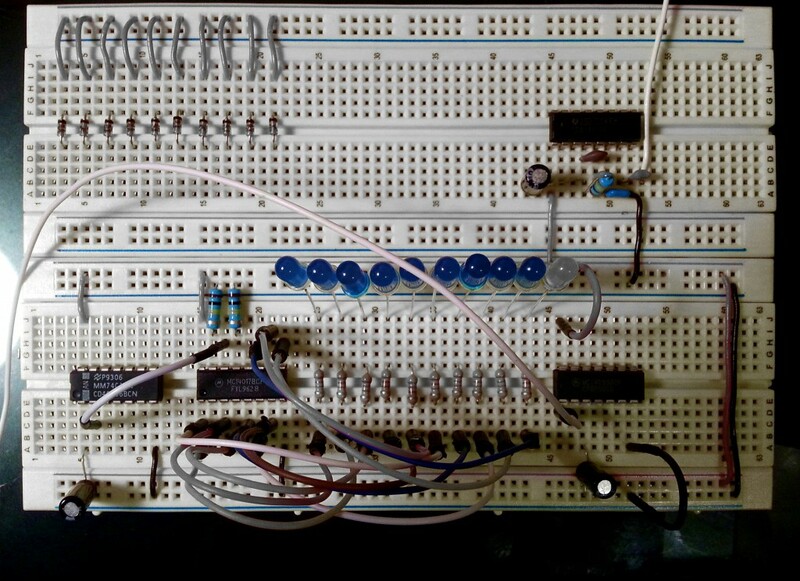 The main instrument was a ten step sequencer and VCO with toggle and repeat functions, high cut filter, distortion and speed controls. 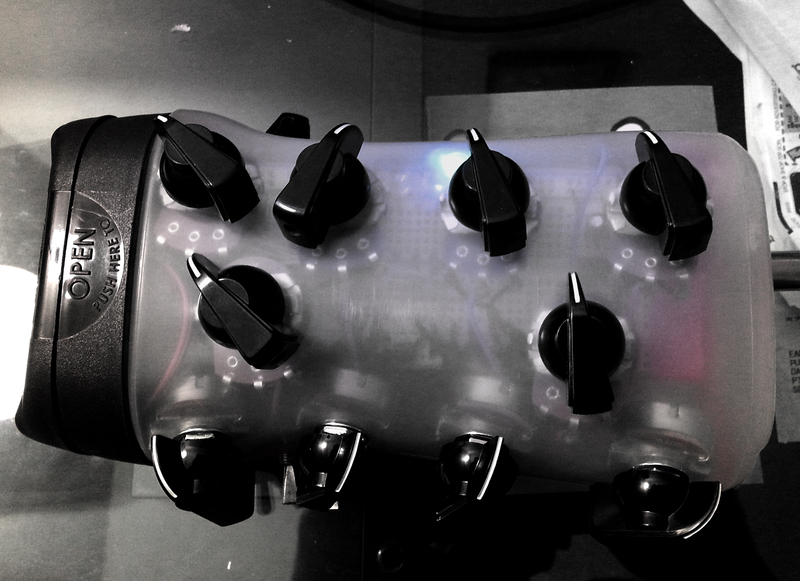 A patchable loudspeaker could be used with an external microphone to achieve interesting feedback and other gestural effects during performance.